A popular dictionary defines aquifer as simply “a body of permeable rock that can contain or transmit groundwater.” But the Floridan Aquifer is a complex network of underground—and underwater—caves and crevices that divers can actually swim through and explore for many miles! If you have not seen it, you should watch the documentary, Water’s Journey: Hidden Rivers of Florida to see this amazing geographical world that is not far beneath our feet. 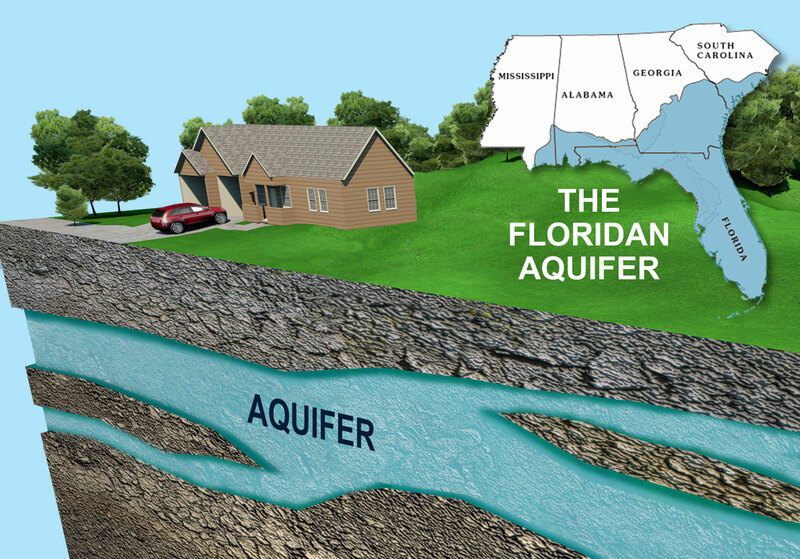 The Floridan Aquifer is underneath more than 100,000 square miles, spanning the entire state of Florida and well into four other Southeastern states. Our aquifer is also the source of our drinking water and all of the water we use in our homes, at least here in Volusia County. It is also what our wells tap into for farming irrigation watering our lawns.